When: Sunday mornings in classroom 4 at 9:45 a.m.
Who are Messiah’s Mission Crafters? Messiah’s MIssion Crafters are members (mostly women) who enjoy knitting, crocheting, jewelry making and working on other “crafty” projects. Sunday mornings are used for fellowship and support. If you’ve ever wanted to learn to knit or crochet, this group will help you learn! 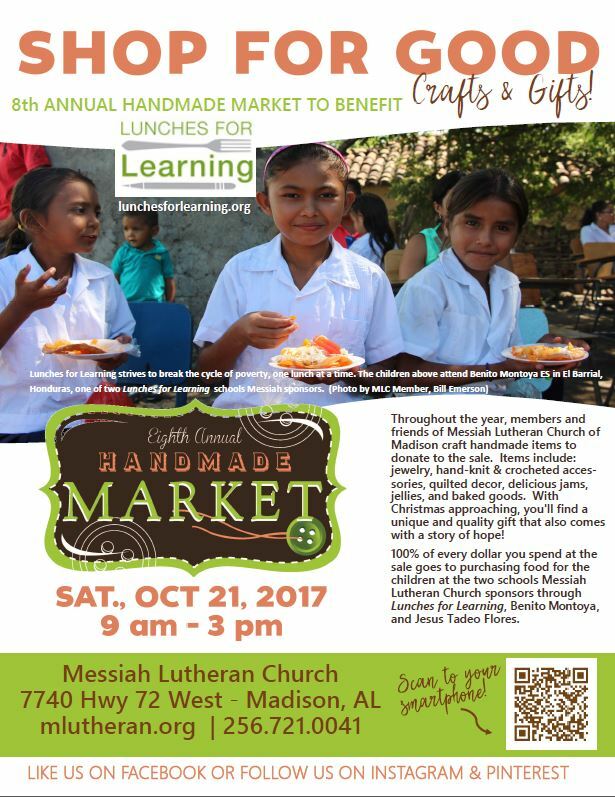 Messiah’s Mission Crafters organize an annual “Handmade Market” in late fall as a fundraiser for the two Lunches for Learning schools Messiah sponsors. Dog toys for local animal rescue organizations. There will be a Mission Crafter workday from 10 a.m. to 2:00 p.m. on Saturday, February 24th.